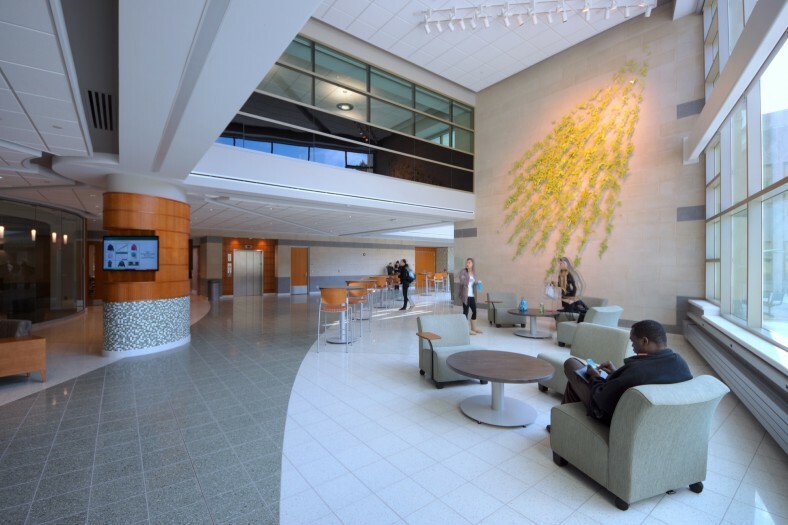 MSU College of Nursing students have a new LEED Silver certified landmark building for research. 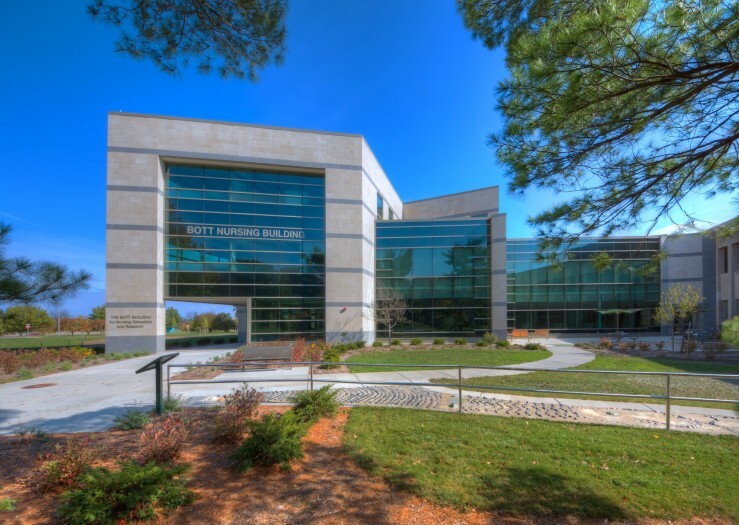 This extensive addition houses the College’s Academic Center and Research Center and enhances the program’s identity in order to recruit and retain highly qualified students and faculty. 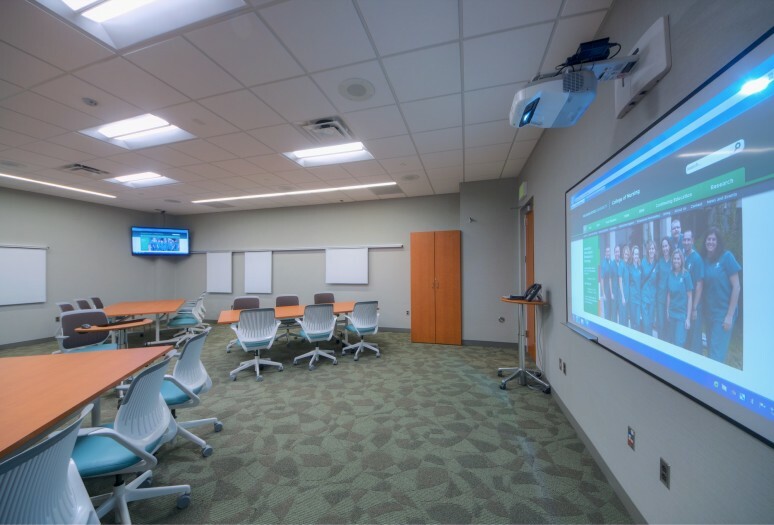 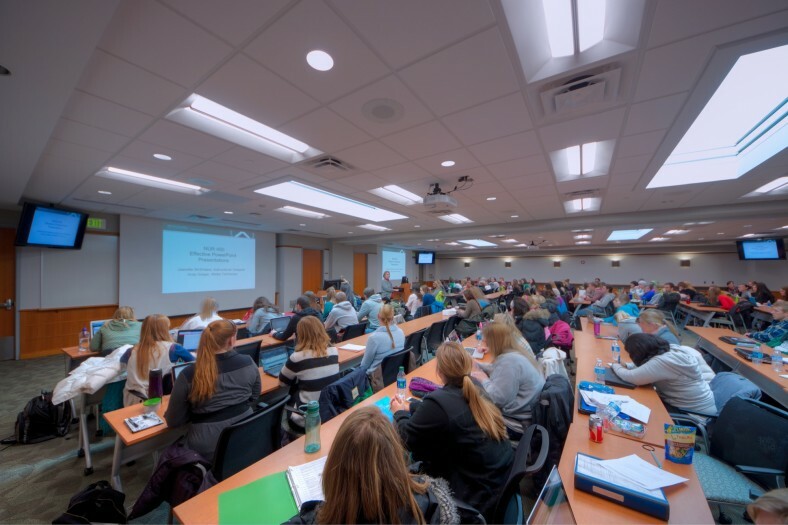 The Academic Center includes a multimedia classroom, faculty/staff workstations, student support services, external relations, interdisciplinary meeting/community gathering spaces and conference rooms. 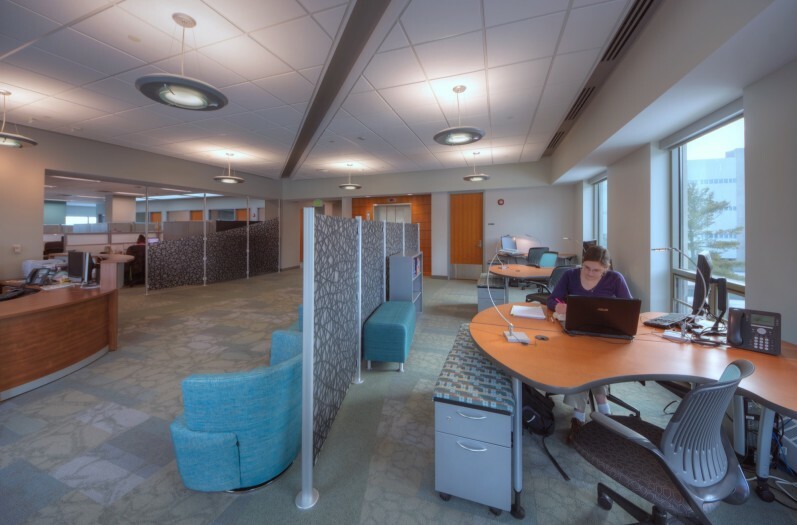 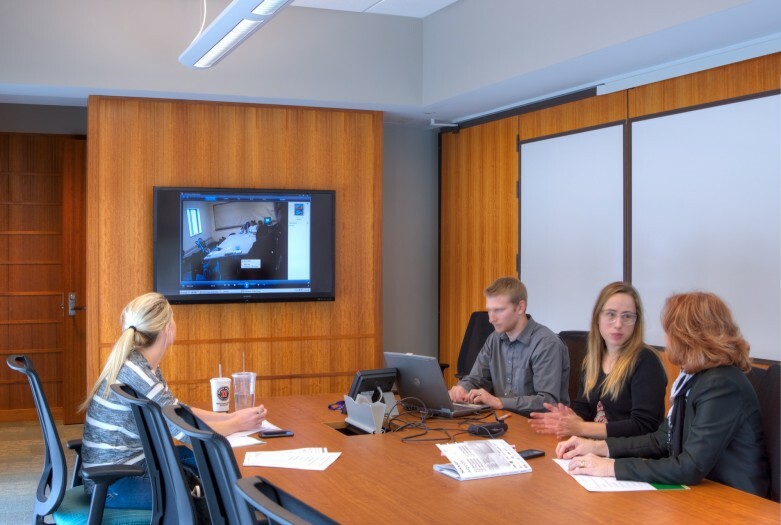 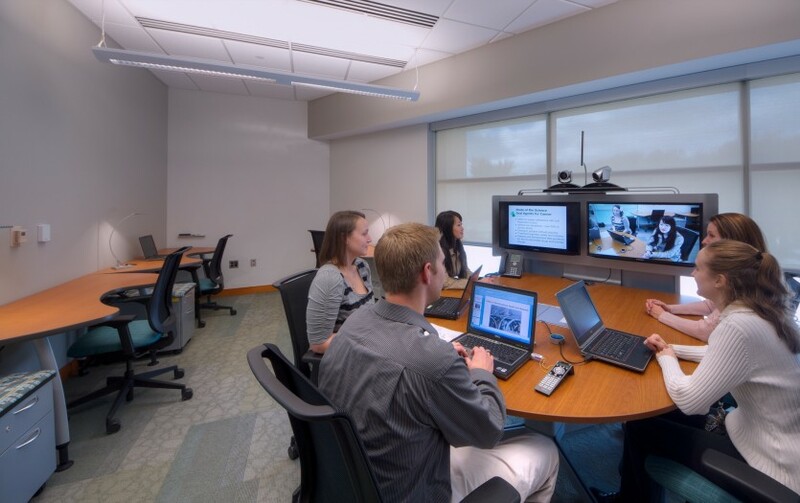 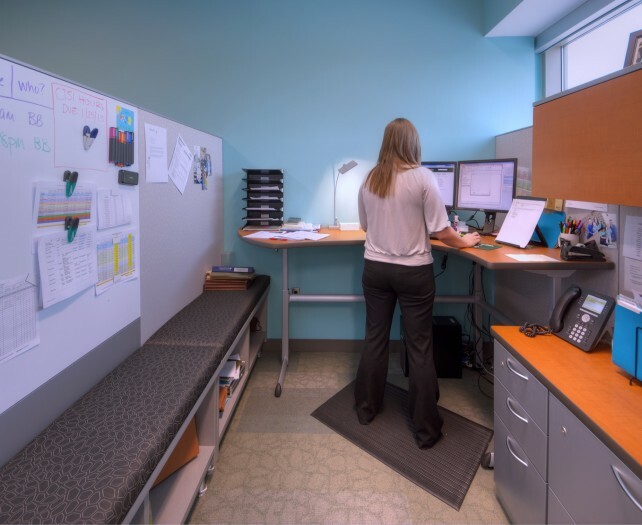 The Research Center features dedicated space for research faculty and staff offices/workstations, doctoral student workstations, meeting/interview rooms, and spaces that facilitate collaboration and scholarly activity. 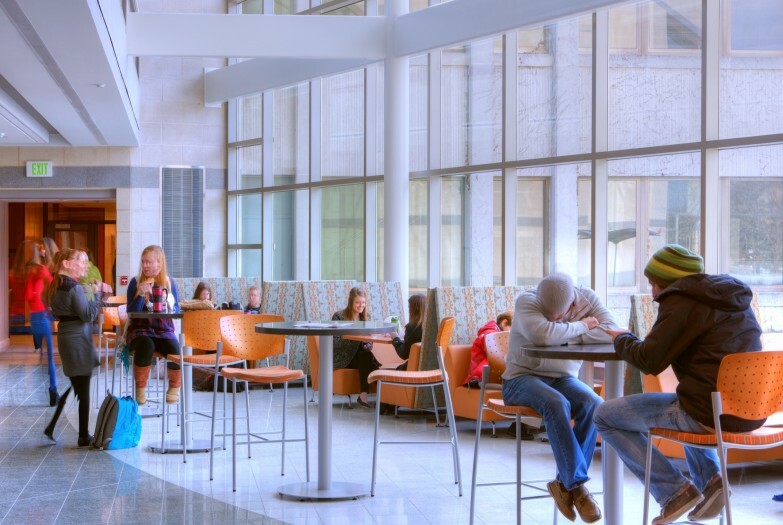 A geothermal system was selected – the first on MSU’s campus – for heating and cooling, due to significantly lower annual energy costs. 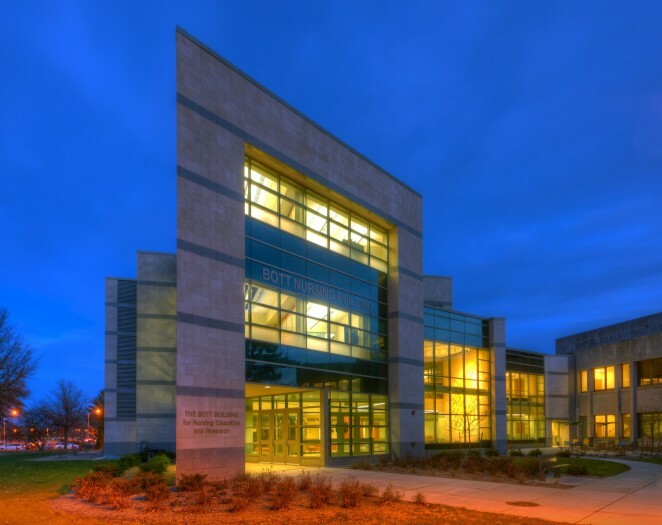 The three-story structure of sparkling green glass and buff masonry provides a glittering presence and new face for the College. 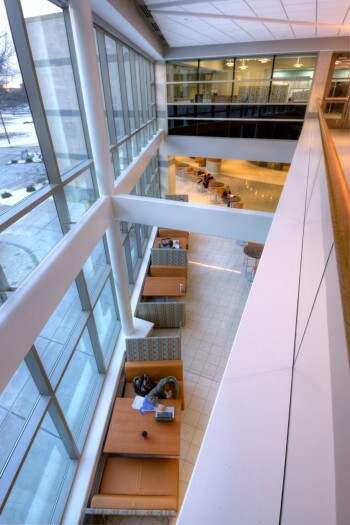 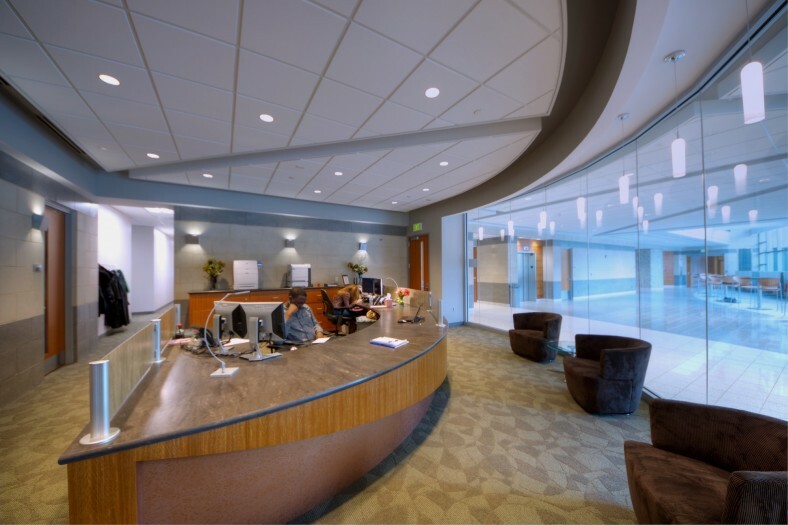 Natural daylighting via a continuous curtain wall glazing captures desirable north light.